Property of Charles de Montesquieu in the 18th century, Château Saint Ahon and its vineyard in AOC Haut-Médoc are at 20 minutes of Bordeaux center city. The castle is now listed as a “Remarkable Monument”. Château Saint Ahon was destroyed during the French Revolution. It was reconstructed in the course of Napoleon’s Empire and restored in 1875 by the architect Alphonse Blaquière who gave its current Louis XIII’ style like you can see it today. Château Saint Ahon is one of the last wineries in Blanquefort. In 1985, the Count and Countess Bernard de Colbert, a direct descendant from the famous Louis XIV’s Treasury minister, became the 67th owners of Château Saint Ahon and its vineyard. The winery covers 40 hectares of land, including 30 hectares of vine. In 2003, Françoise and Nicolas Chodron de Courcel, their daughter and son-in-law, left Paris with their children to settle in Saint Ahon. Their intention was to set new prospects for the winery, in the difficult context of the wine industry crisis. We are convinced that “only a high-quality vine can produce a high-quality wine” and thus adapted the winery according to the latest know-hows: parcelling the vineyard, drainage, cultivating with a minimum impact on its natural environment, eco-friendly farm work, as well as thermoregulation, choosing adapted barrels, etc. 10 years later, the high environmental value certification Level 3 rewards our efforts in sustainable agriculture. 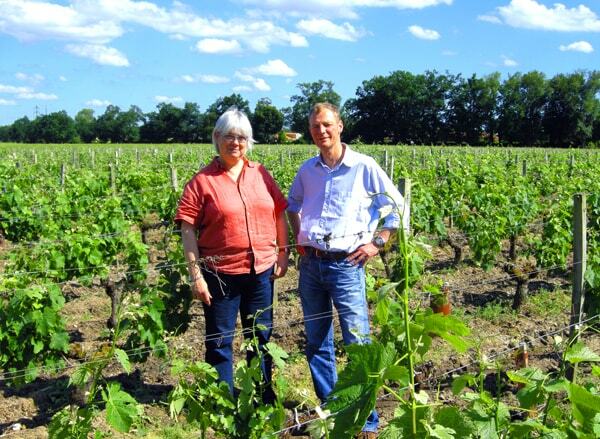 Of course, the future of Château Saint Ahon also depends on wine tourism! From summer 2009, we are opening your reception room adjoining the barrel cellar and a cottage for up to 8 people. In spring 2011, the Château Saint Ahon diversified with the creation of a boutique, family and fun tour: Les Jardins de Mirabel and a parking area camper. End of 2013, the Château Saint Ahon has two new houses named our two mascots, our dog Bidule and our donkey Mirabel. 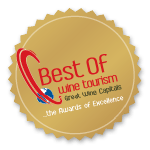 Our efforts will be rewarded by obtaining a Best of Wine Tourism in the category “Reception” for our reception room in 2011 and a Best of Wine Tourism Gold in the category “Discovery and Innovation” to the Jardins de Mirabel’s tour in 2012.